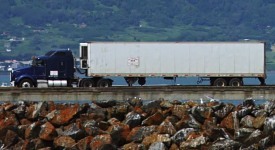 Truck, Trucking and Towing Insurance in Ellinwood, Kansas - Jensen Associates, Inc.
At Jensen Associates, Inc., we can help you find the right coverage at a fair price for your truck or trucking insurance needs. We work with some of the top rated companies for your commercial truck insurance policy and tailor a package that meets your truck and trailer needs. Whether you're looking for owner operator, motor carrier or private carrier, we can help you find the best fit for your trucking insurance coverage. Contact us to find out more about truck and trucking insurance in Ellinwood and surrounding areas, including Great Bend, Hoisington, Larned, Lyons, and Saint John.